A name you can trust. Colton Teak™ is not a fly by night Internet site… We are a bricks and mortar outfit with longstanding retail & commercial relationships. For years we have supplied Colton brand high quality teak furniture to Southern California retail boutique stores. Demand has given us an international reputation with clients ranging from top universities to your favorite vacation destinations. Prices you won’t believe. How do we do it? It’s simple: No middlemen = lower prices and higher quality control. We manufacture our own lines of Grade A plantation teak furniture in Java, and ship direct to our warehouse facilities in Southern California. We already supply orders in bulk to retail and commercial establishments, so why not offer similarly competitive rates straight to the public? Shockingly, this is not a common practice among our competitors, who continue to charge full retail pricing. We encourage you to shop around and see for yourself. In need of the sale to end all sales? See our Specials section to get your fix. Quality not to be surpassed. Ever notice how just plain ugly substandard teak can be? Heavily oiled to mask young weak wood, and marred by multiple knots and imperfections that shout cheap furniture? Not here. Not ever. We quality control at the source and have nothing to gain by cheap construction and short cuts…our high end retail resellers and commercial clients would never accept that, why should you? Our money is where our mouth is. We don’t just talk about our quality and prices, we guarantee your satisfaction with progressive 60 day guarantee and extensive lifetime warranty policies. Enough said. Customer service with ears. Our attentive staff is here to answer your questions and assist you in any way…we have even been known (gasp!) to recommend another source if we think your needs would be better fit (e.g. items you seek that we do not carry ourselves). We thrive on customer referrals and strong feedback. In fact, many of our product line additions (most recently, extra wide and deep seats for our ergonomic Brighton Folding Arm Chairs, for example) come straight from the mouths of our clients’ suggestions & feedback. You talk, we listen. A company on its toes. We don’t just listen, we act. Case in point: we noticed how difficult and expensive it is to put together a dining or seating set when purchasing items individually. Enter a brand new concept in teak shopping: build your own set at wholesale pricing! You choose the table, you choose the chairs. Need an extension table that will hold your umbrella in place no matter how you configure it? No problem. All at special set pricing. Visit our Build Your Set section of our online catalog to see for yourself. We support our natural resources. Our plantation grown, Grade A teak comes solely from sustained yield forests under direct government control. Hardwood forests are a priceless component of our environment, and we remain committed to their responsible use. 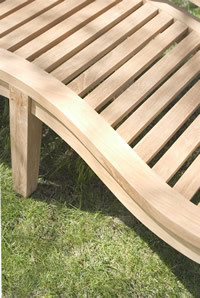 Please see our About Teak section for more details. We support our human resources. We do not condone nor will we ever knowingly purchase from sweat shops. Our manufacturing facility in Java promotes safe working conditions and higher than average wages for the area. Pigs do fly at Colton. Of course, not literally! However, if you need that special something at a special time, we will always bend over backwards to try and make that deadline or fill that need for you. Contact us and we’ll do our very best. Don’t take our word for it… Our extensive list of premier commercial clients, a sampling of which can be viewed here, is testament to the true quality and value of Colton Teak furniture. Moreover, feel free to peruse some of our most recent feedback in our Testimonials section, where our clients speak for themselves. Feedback always welcome and encouraged!